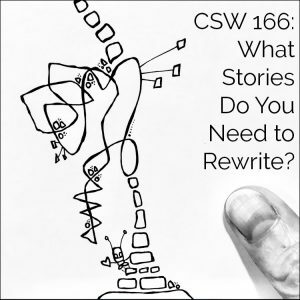 CSW Podcast 166: What Stories Do You Need to Rewrite? Last week I was up in Whistler, British Columbia, at a training in Advanced Strategic Storytelling with LEGO® SERIOUS PLAY® Methods, learning how to weave together LSP methods with the Hero’s Journey. Humans are wired for story — when any information is conveyed in the form of a story, it’s stickier in our brains. So helping leaders, salespeople, advertisers, project managers, coaches, and others, to tell the best stories possible helps them communicate better, create engagement and alignment, bring multiple stakeholders together, be better speakers, and on and on. So I’m there in Whistler, where it’s impossibly gorgeous, surrounded by tree-covered mountains at the Nita Lake Lodge, in this stunning two-level, two-bedroom suite where the training is being held, with sweeping views and a fire in the fireplace, and there are five of us sitting around the table, and we’ve just done an exercise building models out of LEGO® (because, of course, we do a lot of that in LEGO® SERIOUS PLAY® workshops! ), and I don’t even remember what I’m talking about, but it has something to do with my online community, the Creative Sandbox Community. And I just off-handedly mention that my community isn’t very big. Well. One of the other participants, Cheryl, a skilled coach, calls me out. Huh. I realized she was right. I hadn’t noticed until that very moment, but I had mentioned my Creative Sandbox Community a few times before, and I had said my community isn’t very big. And I kind of had to wrack my brain a bit to think about how to say that differently. Because, I mean, everything’s relative, but all things considered, it isn’t very big. I was pretty pleased with myself! And how meta — here I was was at a storytelling workshop, rewriting a story about myself! Woohoo, victory, right? But Cheryl didn’t let it go at that. She just looked at me, with that look that only a coach can give you. That that’s not good enough look. “I’m going to challenge you to do better than that,” she said. That is called rewriting a story. I had this story in my head about my community: it’s not very big. Which is really limited, and limiting. But rewriting that story to “I have a huge online community, they’re out there just waiting to find me!” is so much more empowering. It’s almost like “My online community is not very big” is a self-installed glass ceiling over my head, keeping me small. And simply rewriting that story to”I have a huge online community, they’re out there just waiting to find me!” helps me shatter that glass ceiling so I can stand up to my full height and be open to more possibilities. Maybe it’s familiar to you. I still tell myself that lie. Even though I know it’s a lie. Because I’ve learned the phenomenal value of small daily acts. 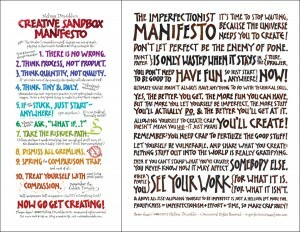 Think tiny and daily — Creative Sandbox Way™ Guidepost #4. And I’m not kidding that I told myself this lie for a good decade. While I was making my living as a calligrapher and ketubah artist, from about 2000 to 2010, I convinced myself that I didn’t have time to make art for me, for the joy of it, to feed my soul. But really, that was just an excuse. That was just perfectionist paralysis. That was just fear that whatever I might create wouldn’t be good enough. So I didn’t create anything. I made up this excuse — which I believed was true (though part of me knew it was denial) — that I needed big chunks of time, which I absolutely did not have. Years later I finally figured out that I don’t need big chunks of time. 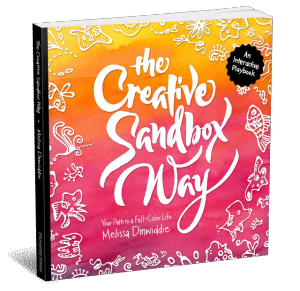 God knows I love big chunks of time (that’s why I go to Jenni Heffernan Brown’s Creative Sunday Lab, and my own Creative Sandbox Playdays (coming soon! 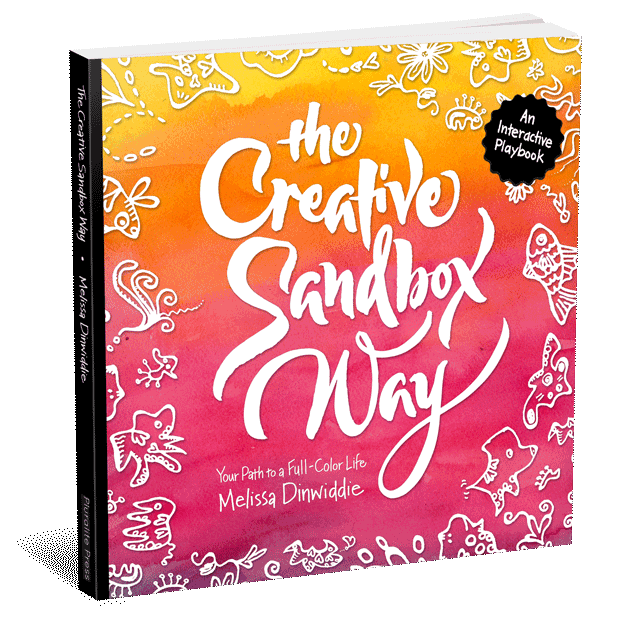 ), and my 5-day Creative Sandbox Retreat (coming up September 12-16! )), but I don’t need them in order to get creating. 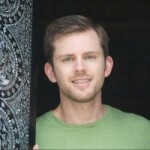 I figured out a long time ago that even ten or fifteen minutes a day can put me into a state of flow, and dramatically changes my mood for the better. And when I found myself not getting to my art table back at the end of 2015, I figured out that I could integrate a teeny-tiny creative practice into my morning ritual by doodling for a few minutes in bed in the morning. Each individual doodle seems like nothing on its own, but added up over the course of a week, a month, a year, they create a body of work, and make a huge difference to my quality of life. On the surface, rewriting stories and shattering self-installed glass ceilings is simple. A tilt of a few degrees is all it takes, and everything changes — the entire paradigm shifts. But of course, just because something is simple does not mean it’s easy. Because rewriting stories requires you to change your entire identity, and that’s hard. If you’ve thought of yourself as the kind of person who can only ever earn a moderate income, for example, rewriting that story to think about yourself as the kind of person who can not only earn a huge income, but lead a fast-growing company, is a massive identity shift. That may not be something that happens overnight. It starts by identifying the old story, the self-installed glass ceiling, and deciding you want to change the story, shatter that glass ceiling. Once you decide you want to write the new story, the hard work begins. Self-awareness + self-compassion = the key to everything good. Guess what? That self-awareness is going to help you identify those old stories, and notice when they creep back in. And that self-compassion is going to help you get back on track, because beating yourself up? Never useful. Not ever. But mindfulness, an awareness of common humanity — remembering that you’re not alone, you’re not the only person who has ever struggled in this particular way — and self-kindness (these being the three components of self-compassion — for a deep dive on this, see Dr. Kristin Neff’s book, Self-Compassion: The Proven Power of Being Kind to Yourself (affiliate link; or click here for a non-affiliate link)) will always steer you right. So back to where I started. At a storytelling workshop. Where I discovered a story I had about myself, that needed to be rewritten. And of course, the truth is we all have tons of stories about ourselves! Some are useful, some not so much. Maybe they’re out of date, holding you back, glass ceilings keeping you small. They can be hard to see on our own, those old stories and self-installed glass ceilings. But this is the challenge — if you want to grow. If you want to live a full-color life, you’ve got to write your own story. Which means rewriting the stories that don’t serve you. It might mean working with a coach, someone like Cheryl, who can see your outdated, unhelpful stories that you can’t see so easily yourself. Or it might mean working with a group of friends, or a mastermind group, or an online community, like my Creative Sandbox Community — getting some outsider perspective is critical. And it certainly means paying attention. Always. So that’s for my challenge for you this week. What is a story that needs to be rewritten in your life? Talking about rewriting stories, check out the Accessible Icon Project, an ongoing work of design activism. It starts with a graphic icon, free for use in the public domain, and continues its work as a collaboration among people with disabilities and their allies toward a more accessible world. Sara Hendren and Brian Glenney were asking this question when they started altering public signs marking wheelchair-accessible parking—the blue and white icons designating the so-called “handicapped” spots. They started collecting icons with more design integrity back in 2010. They were rare, but they were present—in high design places like museums, and at ordinary businesses. Inspired by those icons, they re-imagined the “handicapped” icon as less static and passive, more independent and in motion. What began as guerilla activism (stickers they would apply over existing signs) grew into a social design project.